For those who are into body building, workouts are very essential. However, workouts alone cannot bring you muscle gain and lean body mass. If you want to achieve your dream physique, it also takes a combination of proper sports nutrition and attitude towards your workout routines. When it comes to bodybuilding sports nutrition, a lot of people often discount the importance of their pre workout meal routine. Yes, post workout meals and snacks are essential for muscle repair and recovery, as well as energy replenishment, among others. However, also remember that what you consume before you exercise can also help you make the most out of your training. First off, taking a proper meal before a physical activity helps prepare your body for a rigorous training. Simply put, you’ll need all the energy you can get so your body can cope with the training. One to two hours before you train, fuel your body with food and snacks that are rich in carbohydrates. These will give you the needed body fuel that can help you last throughout the entire training session. Carb foods that are slow or moderate to digest are highly recommended so you can keep up with the drill. Some popular examples are oatmeal and long grains, whole wheat pasta, and bread. Be careful not to overstuff yourself before the workout, though, or you might experience discomfort like indigestion and stomach cramps as the body slowly metabolizes all the food you ate before the session. Apart from slow to moderate-to-digest food, you can also go for easy-to-digest ones for quick energy. Fruits like bananas, oranges, and apples are a great source of energy to jumpstart your training. Essential and non-essential amino acids – protein most especially – are also recommended to be part of your pre workout meal. While proteins are basically the building blocks of our bones and body muscles, the body does not have a natural reserve of protein. Since protein synthesis is directly related to muscle growth, it’s really important to include protein in your workout diet because of its many bodybuilding benefits. They provide quick energy, for one, as well as help in muscle gain and muscle recovery. Apart from protein-rich foods, popular alternatives are protein shakes, bars, and powders. 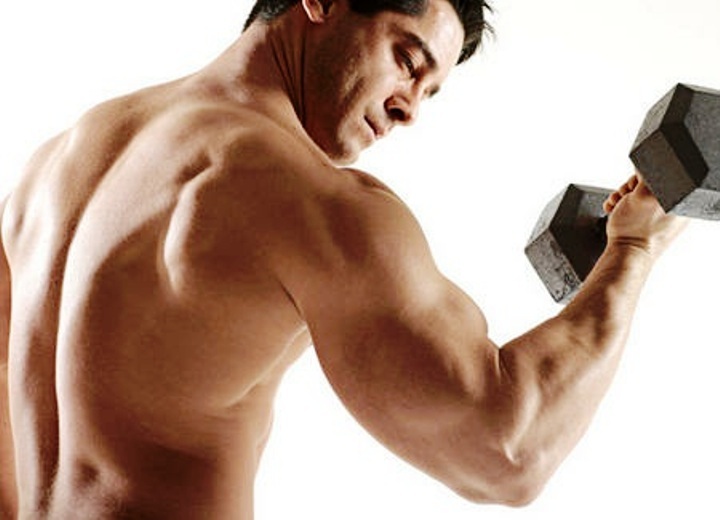 Many body builders and sports enthusiasts also invest in various pre workout bodybuilding supplements. These health products are popular because of the different advantages they are known to offer. Enhanced energy and improved pumps are among the known benefits of a wide array of health supplements. Basically speaking, they can improve one’s performance during training while helping you achieve your bodybuilding and sports fitness goals. While there’s a wide variety of bodybuilding supplements online, always remember the following tips before you decide to purchase any product. First is to consult your doctor for health safety purposes, especially if you are on medication or you have an existing medical condition. Doing some background search about popular products – their ingredient makeup, expected benefits and side effects, and customer reviews – is also highly recommended. And of course, don’t forget to choose your supplier or online source carefully to avoid fake products and too-good-to-be-true product deals. An online content writer and digital marketer for almost 2 years now; provides useful and informative content for different SEO client sites mostly based in Australia. This post is written in behalf of Nutrition Warehouse, a leading Australian-based bodybuilding supplements shop online.